The weather recently has just been perfect, not too hot nor too cold. 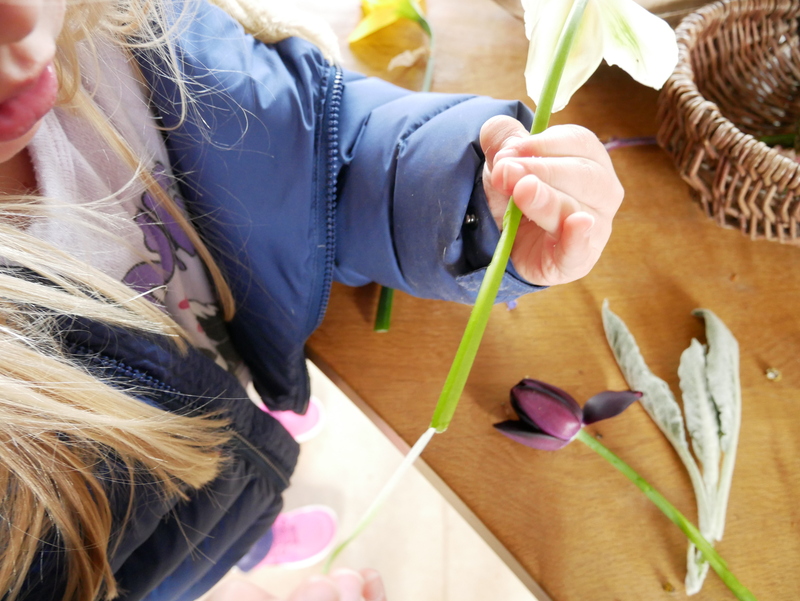 It was the perfect weather for going on a nature hunt in search of spring flowers for our nature table. 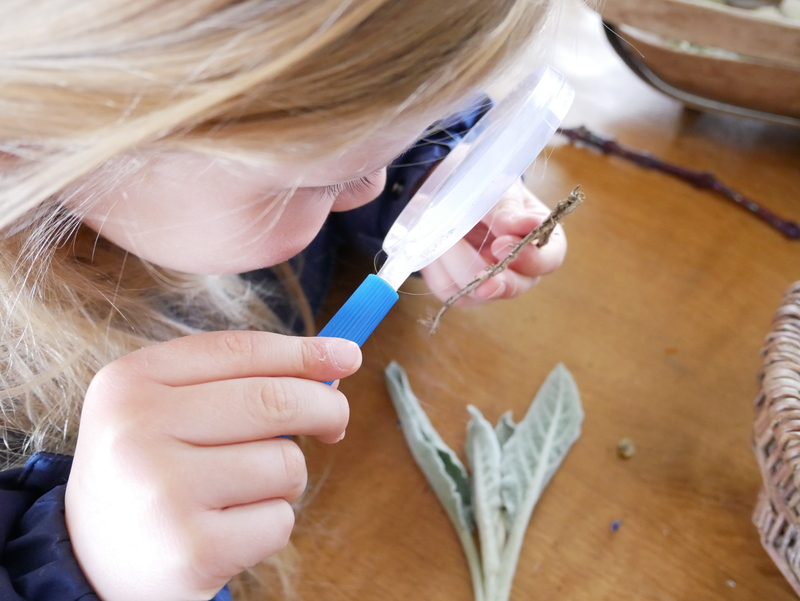 Make sure that you follow my outside activity board on Pinterest for more ideas, and don’t forget to save the pin for later. YC and I picked up our baskets and headed into the garden to go and find any thing interesting in the garden. YC checking the bug house out for any bees. Once we filled our baskets we took them inside and started to investigate what we had found. 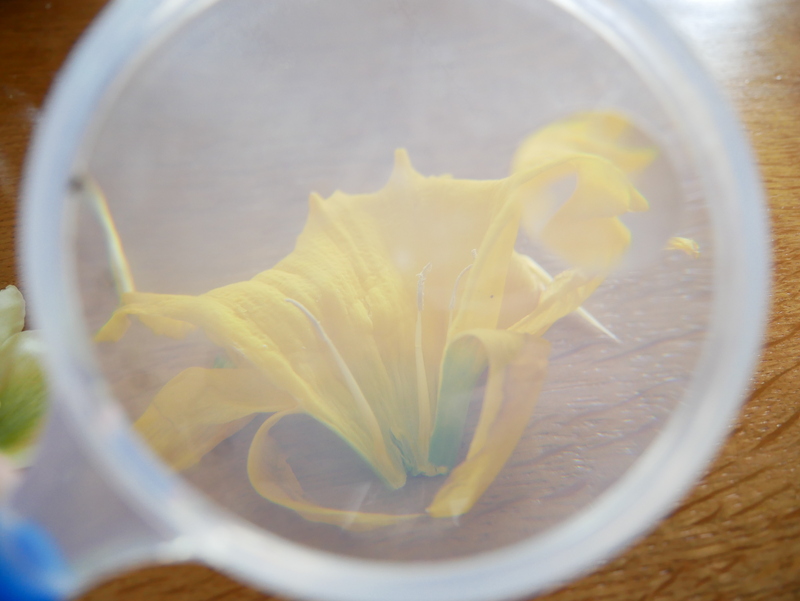 YC looking at the inside of a daffodil stem. 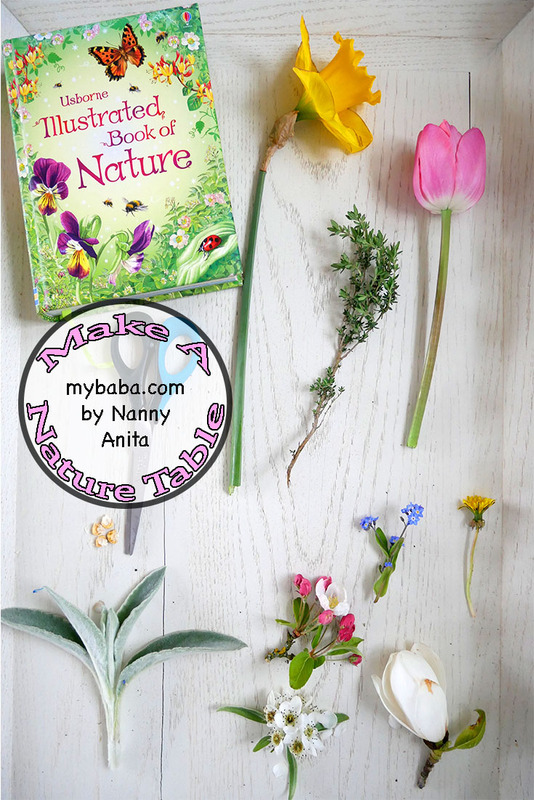 We had our Usborne nature book to look up any plants we didn’t know. We also had fun pulling the plants apart to see what they were made of. At one point YC was looking at the pollen inside a dark purple tulip and discovered that the pollen was the same colour. 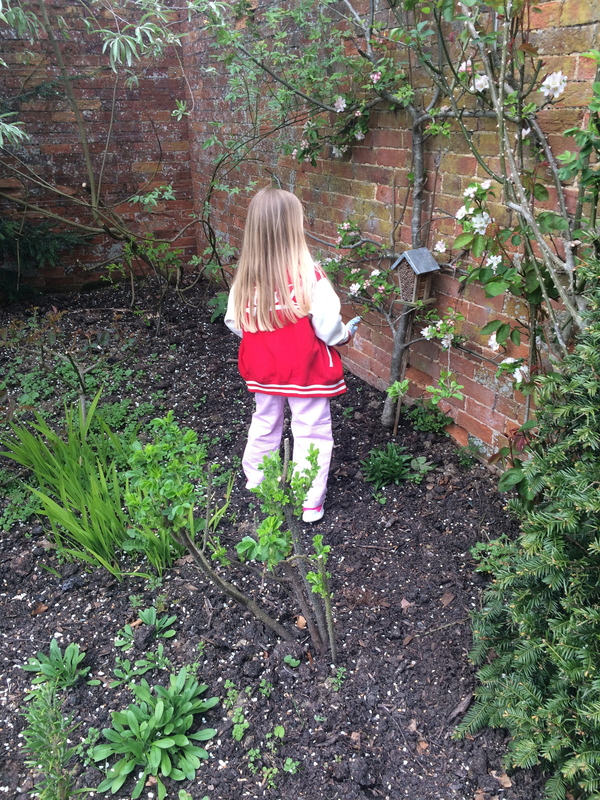 This lead her to looking at all the other flowers we had to see if the pollen was the same colour as the flower. It wasn’t; but it was an interesting question that she asked and then investigated. We even managed to find a tattered pheasant feather. 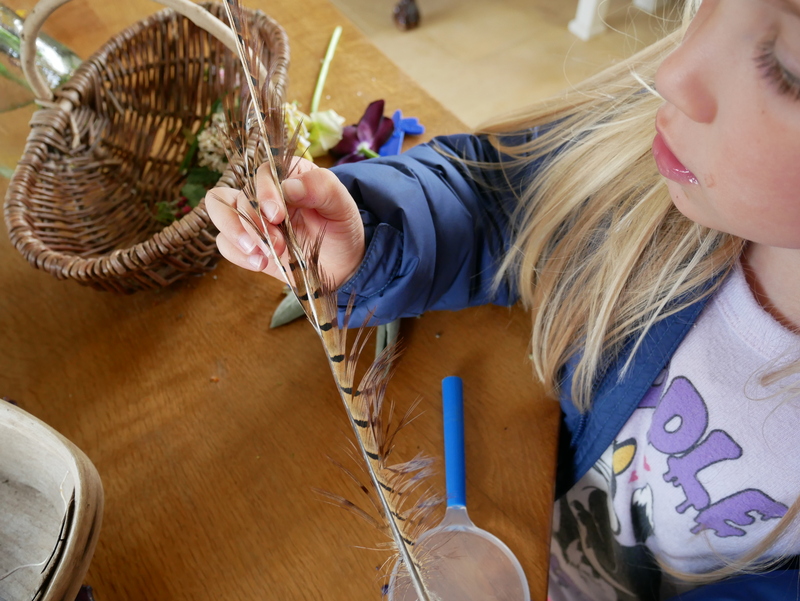 We used it to learn how feathers have tiny hooks (called barbules and hamuli) to keep all the barbs linked. Taking a closer look at some moss. This is always a nice activity to do and generally we do it at least once during every school holiday. Next time I’ll add some sheets of papers so that they can use them to draw what they have found.